Here it is...+hopefully the final version unless I try to get creative, and add a water feature or something. The exterior island shouldn't see any more changes, though. Also, these pieces clip the whole length of the bridge. In response to the first, here is a corrected ESP. I don't know what happened, other than that I may have "cleaned" something in Enchanted Editor that broke the file. It's strange...both cells were in the damaged file. Thank God for backup files, in any case. As for the clipping on the bridge...it's constructed with multiple individual static boards. In the past, I've fixed it by moving one piece by .1 units up and over...I'll look into that. Also, I see the bridge over by the Giant was smoothed out with inviso-walls; I may have to do that myself. Generally, a character can walk over it; but flying can be impossible if you hug the ground. This .esp should solve both problems. Just drop my "EditorMarker_thin_4x1.nif" into my "meshes\sass" folder, and everybody'll have a nice smooth walk across that bridge. Alright, I will take a look at this and get it merged in for the next update! I really liked this plot, SASS man! This is what I love about ModTown: the personalization. My favorite things were the "Dancing Daedra" dinnerware set, the Daedric-themed Beverages, the dances the dancers were dancing (I hadn't seen those since Qarl's Underground! hilarious), the portals which appear as you get close are an awesome touch, and just the dialogue about you and your characters was excellent! 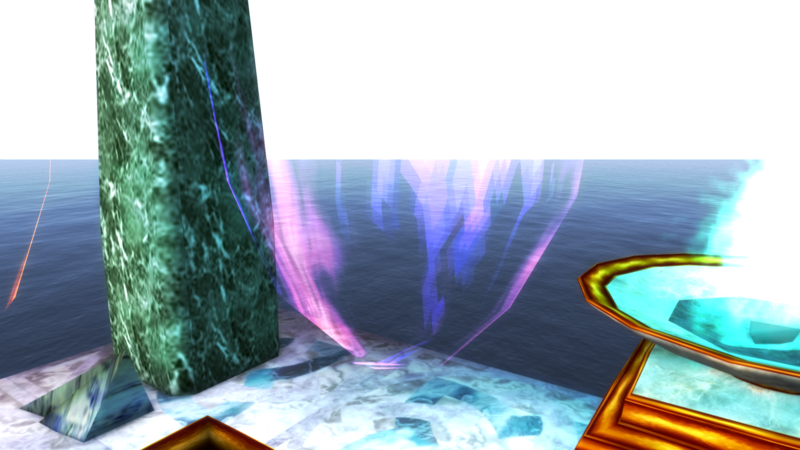 There is a purple portal to the side when you enter your island realm. Is it supposed to lead somewhere? I didn't actually look at this in the CS to see what settings you had. Is it just my game that the sky is completely white like this? Some of your icons for the beverages don't seem to match the bottle. Especially Azura's Wine and the Dremora Draft or whatever that one was called. --- In Alistaria's greeting, she says "...welcome to SASS Islamnd!" -- correct to "Island"
--- On your portal sign to Dagon Fel it is spelled "Dagon Fell" -- correct to "Fel"
--- In T'sutfi 's greeting, he says "...and the comaradrie is warmer!" -- correct to "camaraderie"
--- When T'sutfi talks about "Story" he says "a couple of Altimers" -- correct to "Altmers"
All right...I'll get the dialog corrected as soon as I can. The purple portal is fixed; in fact, it should have been in a different .esp file I was integrating together with Sass Island, part of a personal multi-housing mod. Having to run all over ModTown Island to test changes isn't exactly efficient for me, know what I mean? Also, I've added a few tiny details, so it'll take a supplemental zip file to complete the corrections. I'm not exactly sure what's wrong with the sky; at one point, I'd wanted to use custom textures and a different day-night cycle for the island, but I thought I'd learned the limitations of the Morrowind engine make that impossible. If I figured out a way to customize the sky in an interior-acts-like-exterior cell, I'll be very happy! Any help or suggestions you have will go a long way towards resolving that mystery; and may even result in a really-really cool set of visuals in the final version! That "Dagon Fell" sign? That was actually an UNMODIFIED STOCK GAME OBJECT! Apparently, the game designers weren't sure whether Dagon Fel would have two "L"s or one. However, I swapped it out for the single "L" version...it'll be in the archive I upload real soon. By the way...what's up with GHF? I can't seem to log on there...my password's not working, and my email address is no longer on file! I have yet to try GHF, but I'll let Fliggerty know you are unable to log in. Here is an update to the SASS Island portion of the mod. 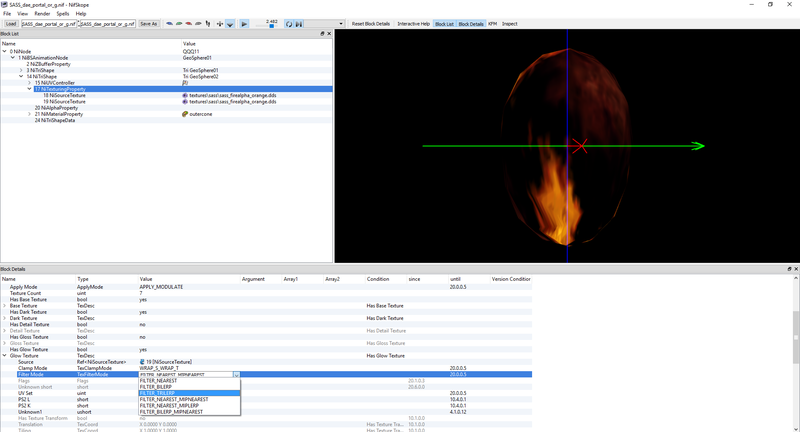 It includes dialog corrections, a few new mushroom meshes, and icons for those crystal torches. I should pry making Alistaria a vendor who can sell those--along with the Dancing Daedra dinnerware, and the liquor. 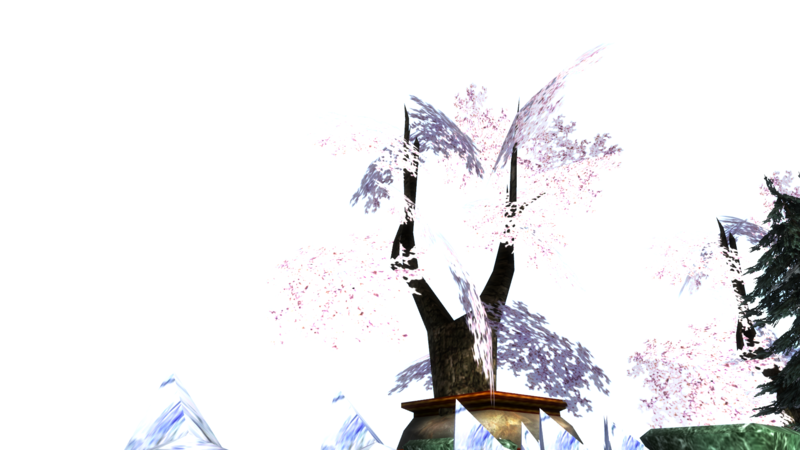 Also, I increased the area of the flower garden north of T'sutfi's beach. It's looking nice! Okay, so I can merge it in if you are ready. Just let me know. I'll take a look at the sky in the CS this time. Go ahead and merge it. I'm not going to add in any water feature(s), I guess. There's just no logical way to place one there. Besides, I guess the place is plenty unique already. My guess with the sky is, you've got a texture pack installed that's missing a texture for one or more of the weather conditions. But why it would happen in that cell, and not EVERYWHERE in Morrowind is a mystery to me. I may have even fixed that by setting all of the weather possibilities: 85% clear skies, 5% Cloudy, 5% fog, and, I think, 5% light rain. Okay, I will get it merged in. Great work on this, SASS! And I am going to look into what was going on with my sky in there. Maybe it was a shader because I'm not using any mods (aside from modtestchargen) to play-test ModTown. Just to update things, here is the orange portal .nif. The textures on the daedric bottles aren't really big enough to be especially noticeable...I suppose I could do those and upload 'em if they look glaring, MD. The purple portal is gone in my latest update...did that get merged in? Just to let eerybody know, now that we're in the quest-making stage, I was going to make a quest to replace those lights on the bridge to SASS Island. Ever notice...only a few of the lanterns are actually lit? (That took a bit of work in NIFscope and Photoshop to get looking good, BTW.) I was thinking T'Sutfi might ask the player to buy replacements at the Mage's Guild or one of the general merchandise stores to replace the candles in the lanterns that are out. Then, he'll pay the player for each lantern that is re-lit! First thing I need, tho, is a store, NPC, or other hang-out for the player to buy candles and/or replacement lanterns.